Immediately on arrival to Se Spa, Grand Velas Riviera Nayarit transports guests to a state of utter well-being with a new welcome experience. During check-in, guests are greeted with a detoxing Black Lemonade and then invited to play the Quantum Drum. Following check-in, spa guests are then guided into the spa’s seven step hydrothermal circuit. Immediately on arrival to Se Spa, Grand Velas Riviera Nayarit transports guests to a state of utter well-being with a new welcome experience. 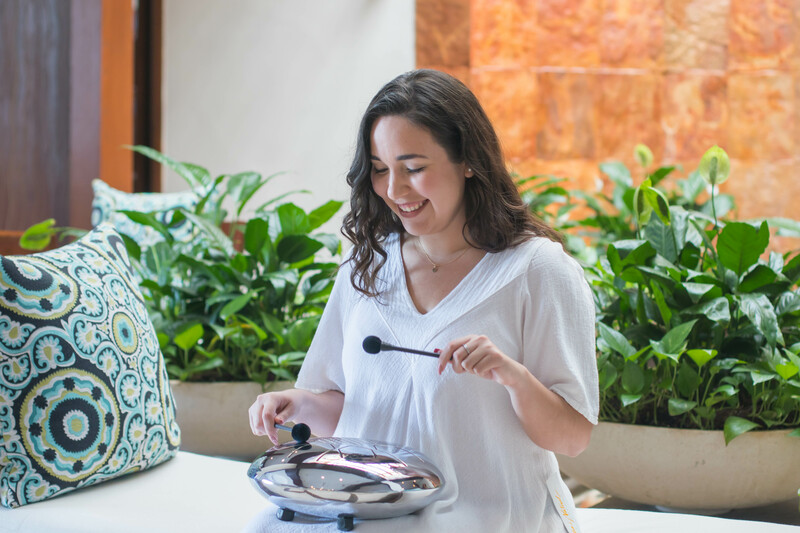 During check-in, guests are greeted with a detoxing Black Lemonade and then invited to play the Quantum Drum. The Quantum is a vibrational instrument that, when played, generates harmonic sounds in 432 Hz frequency. These notes tune the human being to the frequency of the earth, the universe and one’s heartbeat, harmonizing the human body. 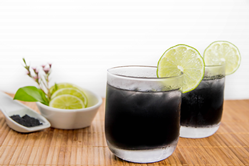 Ideal to balance intestinal flora, Black Lemonade is an energy booster and helps in the detoxification process. A Spa Valet will inform guests about the ingredients of the drink and the benefits that it brings to one’s health. For example, the activated carbon helps fight abdominal inflammation while electrolytes such as calcium, magnesium and potassium naturally regulate nerve and muscle function and hydrate the body. The Lemon provides an excellent amount of vitamin C, making this an antioxidant. Following check-in, spa guests are then guided into the spa’s seven step hydrothermal circuit, included complimentary before any treatment of 50-min or more. The hour-long journey features a eucalyptus-scented steam room with chromotherapy, a bi-thermal pressure shower, peppermint ice fountain, hot and cold lagoons, sauna, hydro-reflexology, and Jacuzzi. Resort rates start at $340 at Grand Velas Riviera Nayarit. Rates are per person per night based on double occupancy and include luxury accommodations, a la carte gourmet meals at a variety of specialty restaurants, premium branded beverages, 24-hour in-suite service, taxes, gratuity and more. For reservations or more information, call 1-888-407-4869 or visit https://vallarta.grandvelas.com/. The AAA Five Diamond Grand Velas Riviera Nayarit enjoys a privileged natural setting with flowering, landscaped gardens beside a long stretch of pristine beach and a dramatic backdrop of the Sierra Madre mountains. The centerpiece of the gardens is a three-tiered, multi-temperature infinity pool, a preferred spot for catching the legendary sunsets. The resort features 267 ocean-view suites, some with private plunge pools, and all with fully stocked mini bar, L'Occitane amenities and Nespresso machines. Wellness Suites include a personal training session and massage in-suite in addition to other fitness amenities, such as a Lifecycle Exercise Bike, organic soaps, Aromatherapy Kit, and more. Of the resort's six restaurants, three, serving French, Italian and Mexican gourmet cuisine, have received AAA Four Diamond awards for distinguished cuisine and presentation. In November 2018, the resort opened a new Asian-inspired restaurant to complement its renowned dining program. An oasis of wellbeing, Se Spa has been included on Forbes Travel Guide’s list of The World’s Most Luxurious Spas. This Puerto Vallarta spa offers 20 treatment suites, more than 30 spa treatments, many inspired by the native traditions of Mexico and a signature water journey. Other features include a fitness center, 24/7 in suite service, water sports, business center, tennis, baby concierge, Kids’ Club, and state-of-the-art Teens’ Club. The all-inclusive resort in the Riviera Nayarit features more than 25,000 square feet of indoor meeting facilities, including the Grand Marissa Ballroom, which consists of more than 6,000 square feet and is easily subdivided into five separate rooms. The resort's facilities also include four other rooms ranging from 681 to more than 1,954 square feet that offer several arrangement variations to maximize meeting productivity and efficiency. Things to do in Puerto Vallarta include water sports, exploring the lush jungle, visits to traditional villages and more. This Puerto Vallarta luxury resort has won numerous awards from Condé Nast Traveler, Travel + Leisure, TripAdvisor, U.S. News and World Report and Forbes, which named it one of the Top Ten Coolest All-Inclusives. A member of Preferred Hotels & Resorts, Grand Velas Riviera Nayarit was built and is operated by Eduardo Vela Ruiz, Founder and President of Velas Resorts, with brother Juan Vela, Vice President of Velas Resorts, by his side. For reservations or more information, call 1-888-407-4869, email reservationsrn(at)velasresorts(dot)com or visit https://vallarta.grandvelas.com/.